Memmy is a fast and simple memory game with nice graphics and great gameplay. Challenge your fingers and memory in 100 levels with great variation. Catch flies, spread paint, memorize fast, memorize many or memorize patterns. Featuring both cute and ugly animals in 2 themes. 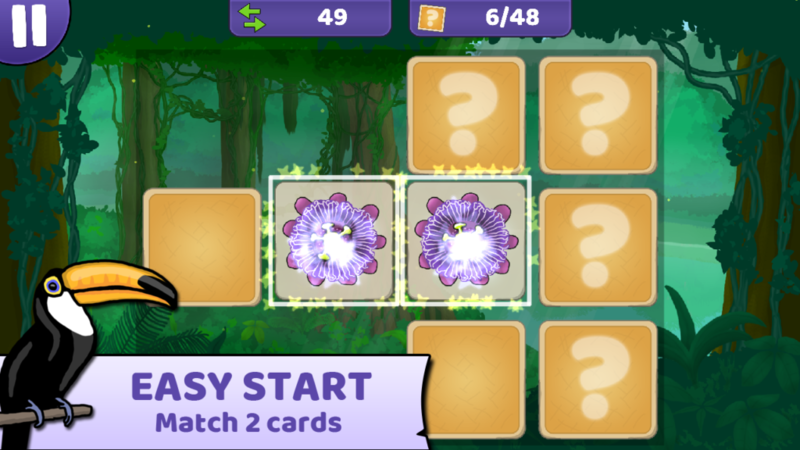 ● MANY EXTRA VARIATIONS: match 3 cards, eye at start, colored cards and more. 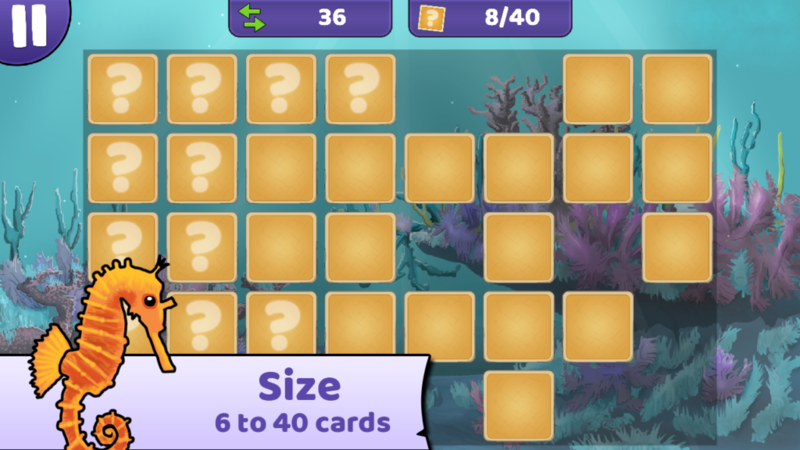 ● MANY SIZES: from 6 to 40 cards. ● SIMPLE: Play without limit and try to finish as fast as possible in 12 different levels. 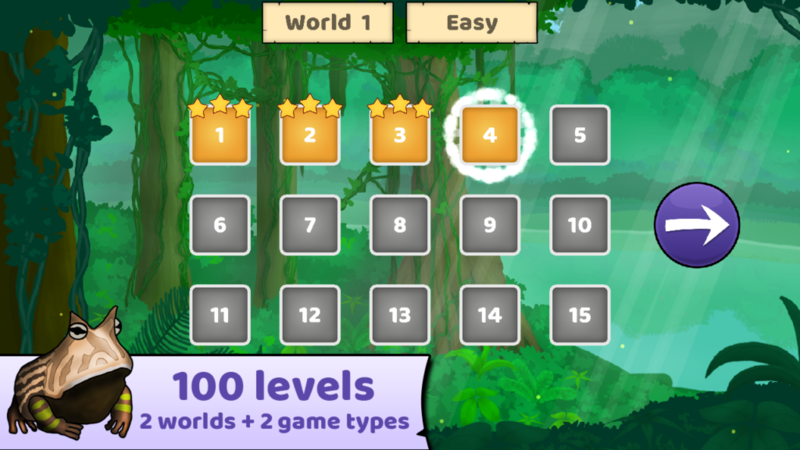 ● WORLDS: 90 levels with great variation and increasing difficulty. ● CARDS: Just like the familiar game. 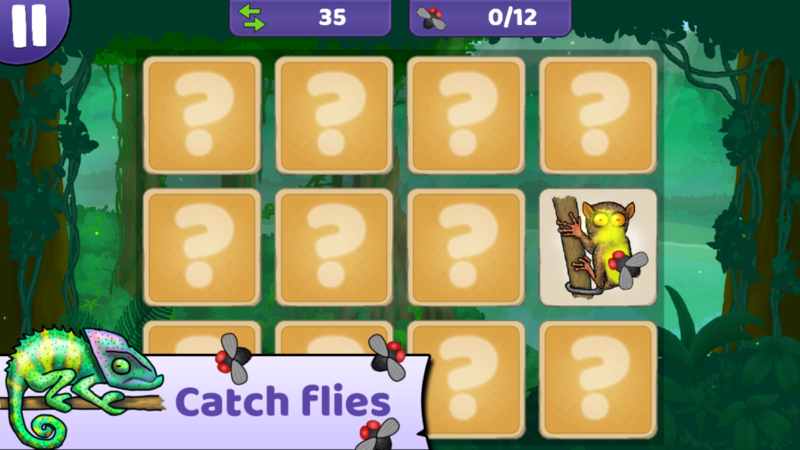 ● FLIES: When the fly sits on a card you must collect that card to catch the fly. If you fail, the fly flies to a new card. ● PAINT: Your goal is to paint all squares. 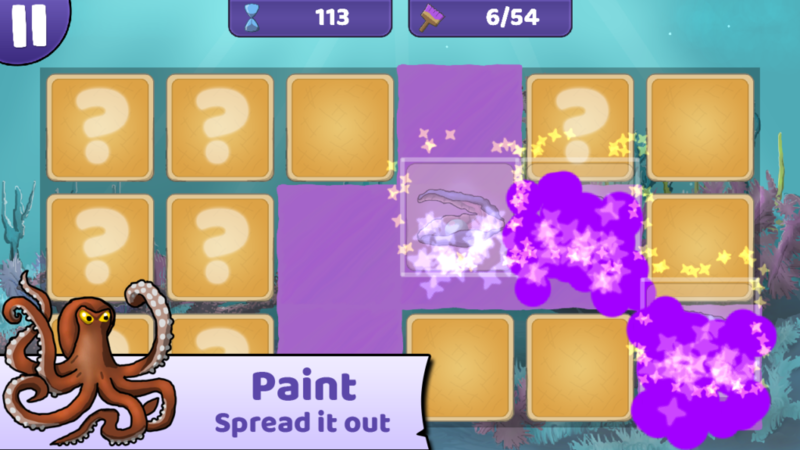 You paint a new square by collecting one card with paint on and one without paint. ● ACTIONS: You have a limited number of actions to complete the level. When you turn two cards, one action is used. ● TIME: You can turn as many cards as you like, but you have a limited time to complete the level. 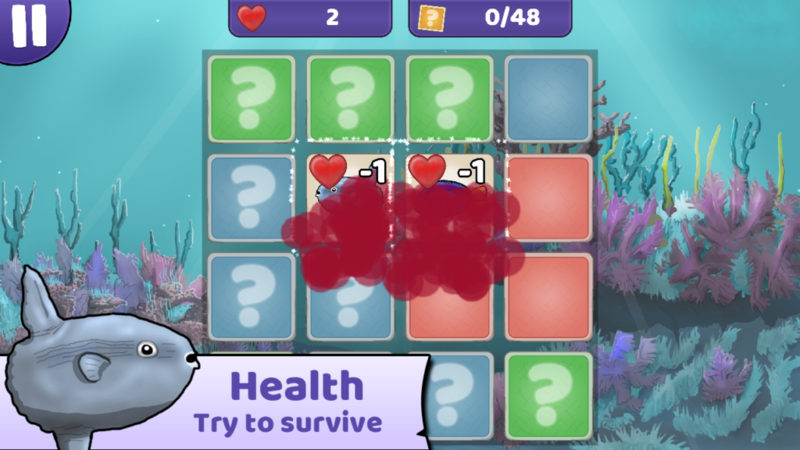 ● HEALTH: You have unlimited actions and time, but you can only turn each card a few times. 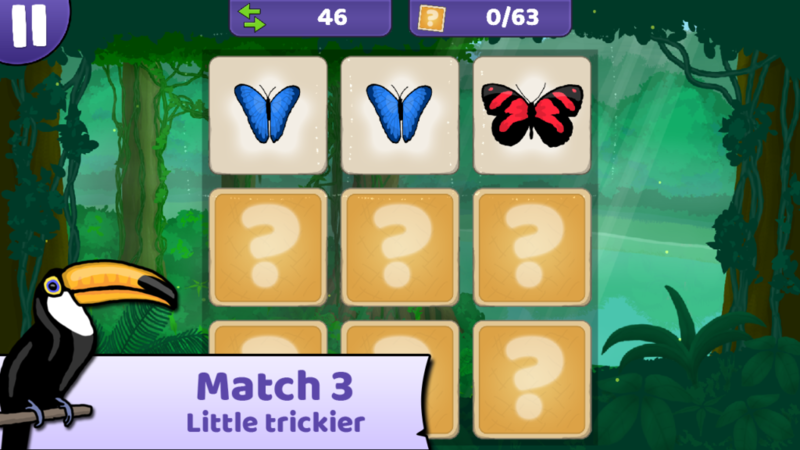 ● MATCH 3: You match 3 cards instead of 2, much trickier. 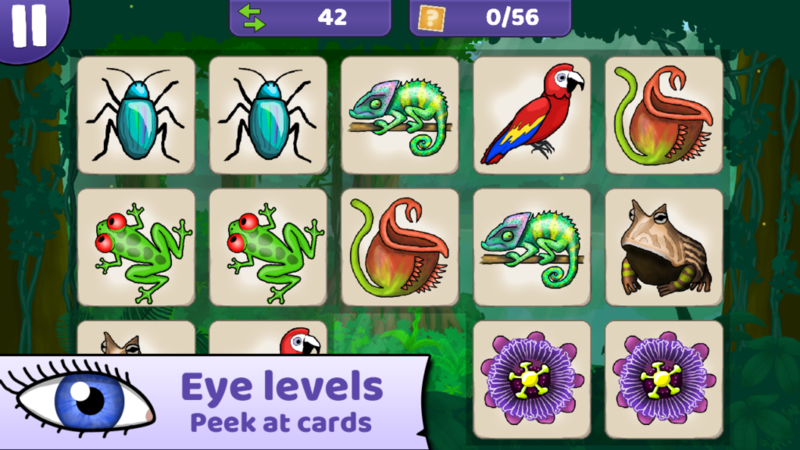 ● EYE: You get to peek at all cards at start. ● COLORED CARDS: You can only turn each card a few times. When the card becomes red you lose health if you try to match this card and are wrong.